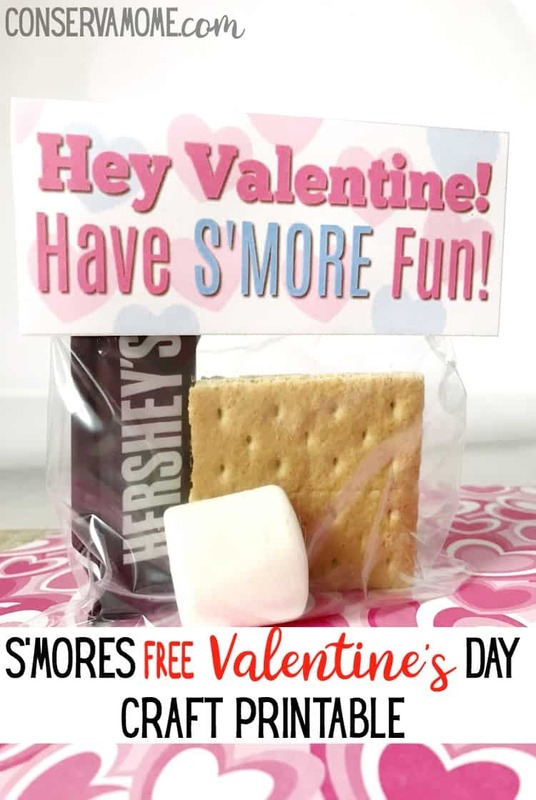 Valentine’s Day crafts just got easier with this adorable S’mores Free Valentine’s Day Craft Printable . Your kid’s classmates will love these creative treats and you’ll love how easy they are to make! Valentine’s day is almost here and if you’re anything like me you’ve got kids that want to bring in Valentine’s day cards for their kids. 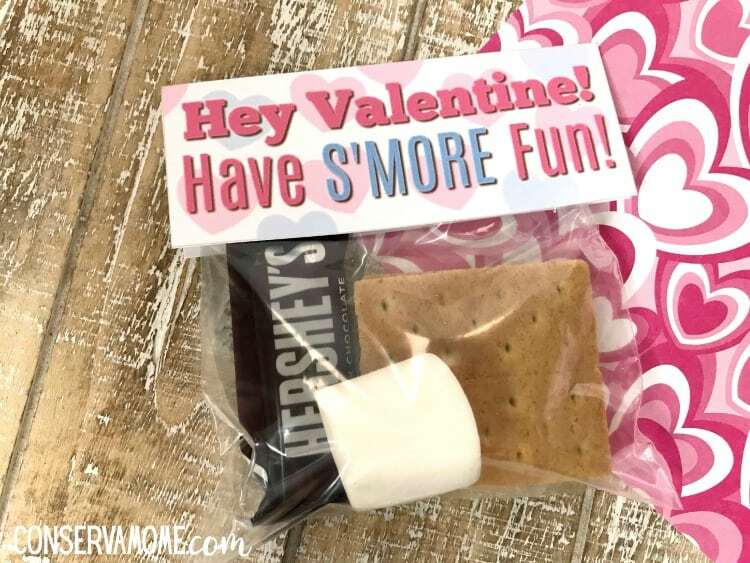 Because we absolutely love s’mores here this is one fun way for kids to show their friends they care. Easy to make and fun to put together. You just have to grab the printable below. (Just click on the image and it will take you to the printable or here ) Then print enough for each of the kids in the class and assemble. To make the s’mores packets all you need to do is add a Graham cracker, a Hershey’s chocolate bar and a Marshmallow. If you really want to get creative they sell Peeps Marshmallow hearts here. The results are this adorable, fun (AND MOST IMPORTANT) easy to make craft. You can grab ziploc snack size bags to put the items in and voila! Valentine’s Day just got easier thanks to this adorable and easy to make craft. Looking for more fun Valentine’s Day printables ? Then check out this fun round up of 20 Valentine’s day FREE Printables. This is a fun way to save money and get creative using some of the fun things your kids love. You can also grab some great Valentine’s day crafts and ideas here. Valentine’s day doesn’t have to be store bought, with all these great ideas ,recipes and free printables you can make homemade valentine’s day fun without stressing out or breaking a sweat. Enjoy!